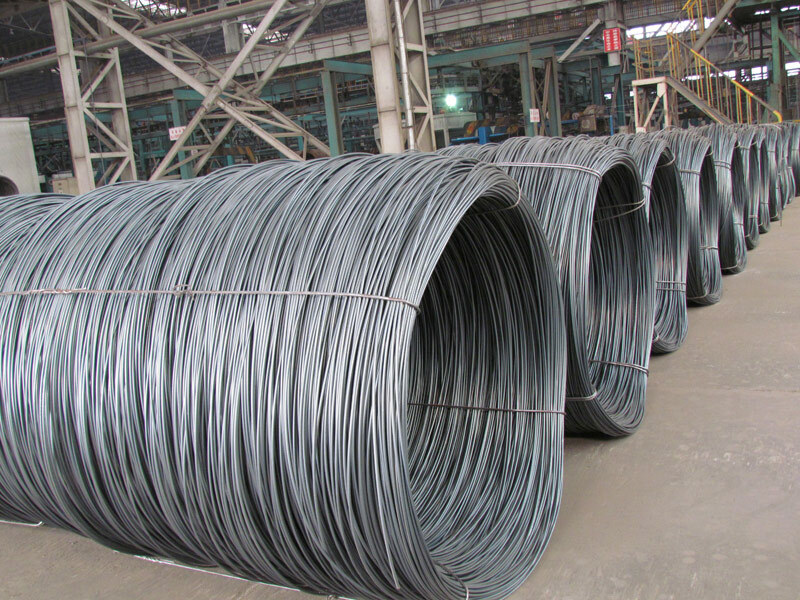 About 2000Kg or for high speed wire coil, The maximum diameter is ∮12.5. A1 series is made from 120t converter with refining outside stove and protective casting. 1、钢质纯净，化学成分稳定，偏差小。Pure steel quality, stable chemical contents, small tolerance. 2、通条性能稳定、拉拔性能好。Constant Quality, good drawing performance. 3、尺寸精度高，C级精度达80%。、表面光滑，氧化铁皮少，易酸洗。High dimension accuracy degree, accuracy degree of Level C up to 80%, smooth surface, less scale, easy to be pickled. 5、硬线产品优质比大、细线比大和盘重大。Big high quality percentage, small coil percentage, and heavy coil weight for Hard Coil.